Lake & Lifestyle Realty | Is the Adventure of Relocation in Your Near Future? Is the Adventure of Relocation in Your Near Future? Home General Is the Adventure of Relocation in Your Near Future? The time to begin purging your belongings in NOW! We never realize how much accumulates in a household over time. Don’t waste money or energy moving things to your new home you know you will be getting rid of. Choose a charity and begin boxing or bagging clothing, furnishings, cookware, bedding, toys, stuffed animals and those craft and project materials you know you will never finish! Look online for local charities you can begin donating gently used items to. Many of them will come to your home by appointment to pick up heavier items, such as large pieces of furniture, or appliances you may not be taking with you. In the Montgomery County Texas and Greater Lake Conroe area, the following organizations may be good resources to assist in helping you part with your “use to be” treasures: Assistance League of Montgomery County www.assistanceleaguemont-co.org Goodwill Industries www.goodwill.org. There are many more organizations so find one you wish to support and give until your heart is full and your clutter drawer (and closets) are empty! Invest in medium size white cardboard boxes for each person making the move. Before the moving company shows up, pack these special boxes with items you will want to transport yourself. Include any items you want to have easily accessible. When you arrive at your new home and the movers begin unloading dozens of boxes of similar sizes, you will have your high priority items within sight and reach. “Purchase ahead of time list” should include a few rolls of various colors of packing tape. Assign each room in your home a color. As the packers box up your belongings, ask them to place a piece of the colored tape on the side of each box, color coded to the room it was packed in. Upon arrival at your new home, a piece of construction paper attached to the wall with paint- friendly sticky tack, in the color you wish matching boxes to be deposited in, will ensure pots and pans or bed sheets don’t end up in the garage, while your tool belt gets unloaded in the pantry. If young children are included in the move, hold off on completely redecorating their space for a few months, while they become accustom to their new surroundings. Keep their favorite toys or blankets visible & accessible and consider replicating the furniture placement in their new room to match that of their previous room. We are all comforted by what we are most familiar with. If your move includes pets, remember animals are susceptible to stress and anxiety, just as we are. If your pet will have to withstand a long car ride, or be in a pet porter for longer than they are accustom to, allow extra time for stops to keep your pet comfortable. Pack leashes, bottled water and a water bowl, medication your animal takes and a copy of their up to date vaccines in case you need to board them at any time during your transition. 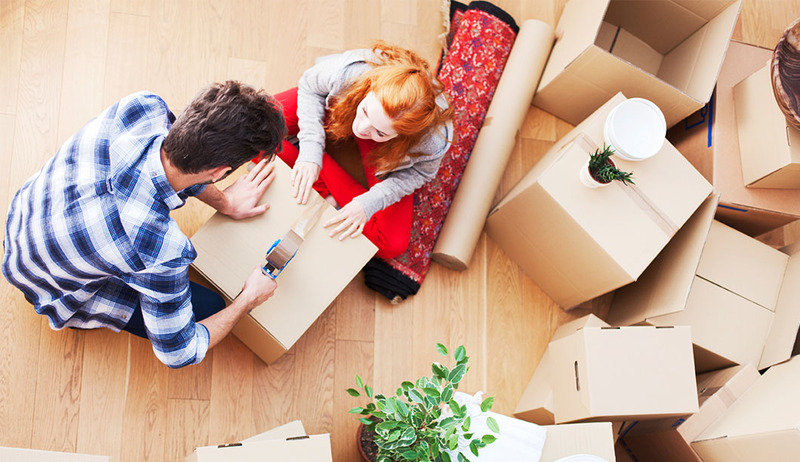 Lastly, for long distance moves, purchase a small fire-safe box for items from your safety deposit box, and important documents you won’t want tossed onto the moving van or the back of a U-Haul.